Nursing Homes, or Skilled Nursing Facilities, are designed for seniors who are in need of 24-hour nursing care. 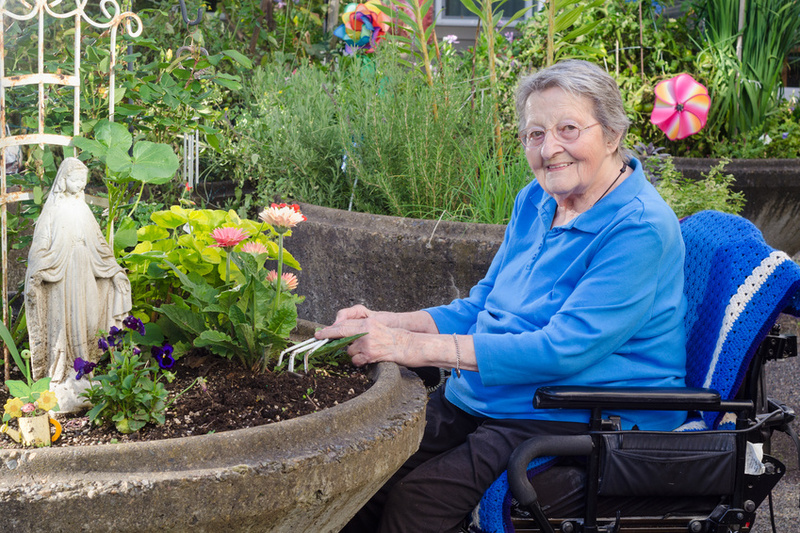 Nursing Facilities provide many of the same residential components of other senior care options including room and board, personal care, protection supervision, and may offer other types of therapy. Their onsite medical staff sets them apart from other types of senior housing. Nursing care is provided by registered nurses (RN), licensed practical nurses (LPN), and nurses aides at all hours of the day. professional service staff-activity director, social worker, etc. Basic Care – These are services required to maintain a resident’s activities of daily living. Basic Care includes personal care, supervision and safety. A nurse aide, practical nurse or a family member can provide this care. Skilled Care – This is the level of care which requires the regular services of a registered nurse for treatments and procedures. Skilled care also includes services provided by specially trained professionals, such as physical and respiratory therapists. Sub-Acute – This is comprehensive inpatient care designed for someone who has had an acute illness, injury, or chronic illness. Subacute care is generally more intensive than traditional nursing facility care and less than acute care, requiring frequent (daily to weekly) recurrent patient assessment and review. Nursing Homes are licensed and regulated by State Departments of Public Health and are individually certified by the State for Medicare and Medicaid. They offer a staff of licensed and or /registered nurses, nursing aides, and administrators as required by licensing standards. The health care is supervised and authorized by a physician. They must also meet federal requirements. Private Funds are most often used, although some senior apartments are subsidized and accept Section 8 vouchers. Medicare and Medicaid do not cover payment since no healthcare is provided. Nursing Homes charge a basic daily or monthly fee. Often families purchase long-term care insurance in anticipation of the cost, while others must depend on other forms of financing. Facilities accept a variety of Medicare, Medicaid, private insurance carriers, and private funds. The Nursing Home will ask you for financial information in order to determine the appropriate payment source.